Today's post is all about food inspired by a book or film. If you know me, you know the choice here was pretty simple...I had to go with some Star Wars inspiration! 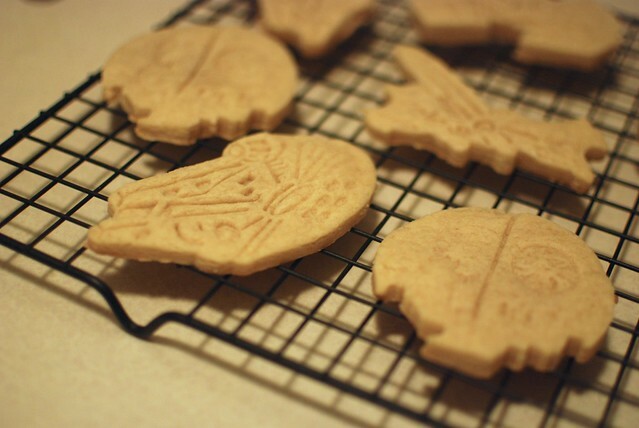 I have already made many a Star-Wars inspired baked good in my time. 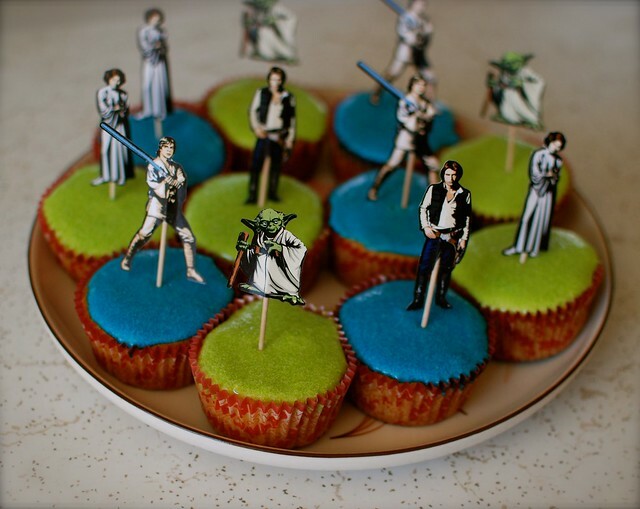 Back in 2011, I made these amazing cupcakes for one of my closest friends' birthday. She had always been a bit skeptical about vegan baked goods, but these cupcakes really knocked her socks off! These are the lemon gem cupcakes from Vegan with a Vengeance and they are delicious! I'm not quite sure what was going on with my frosting here--it was tasty but certainly not fluffy! 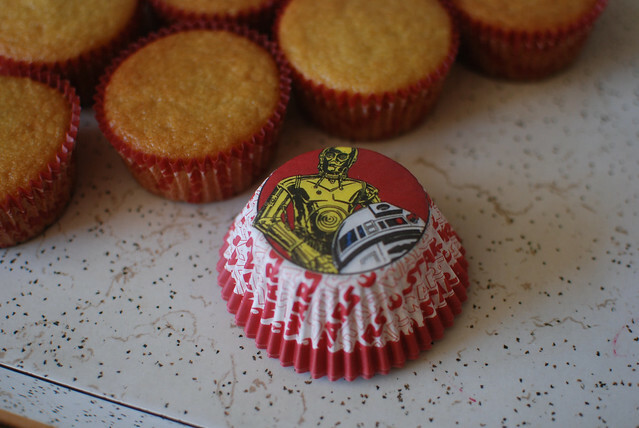 This was my first time making cupcakes, though--so not a bad first go. 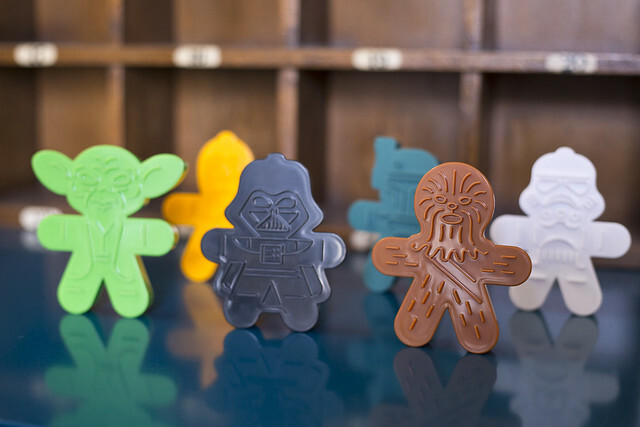 A year or so later, my Mom and sister conspired to give me some awesome Star Wars cookie cutters for Chanukah. 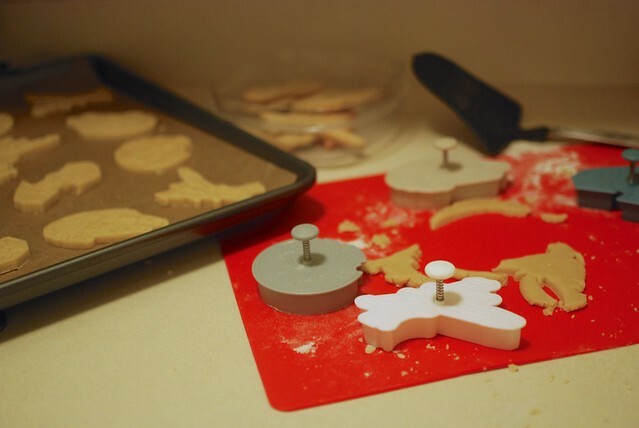 They're really meant for sugar cookies--and I had just the recipe! 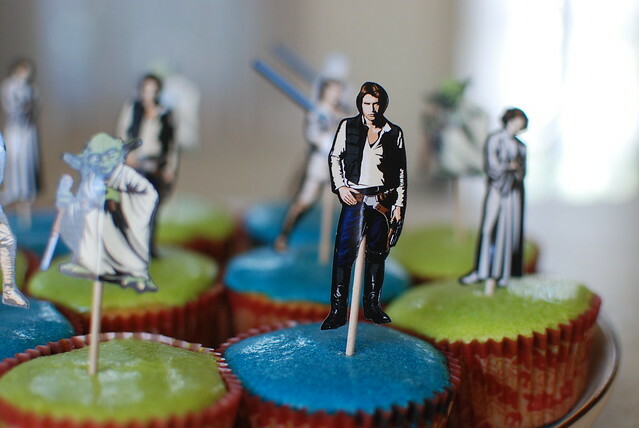 Some day I'd like to try decorating these guys with colored frosting, but they're still quite delicious without. You can see the recipe here. 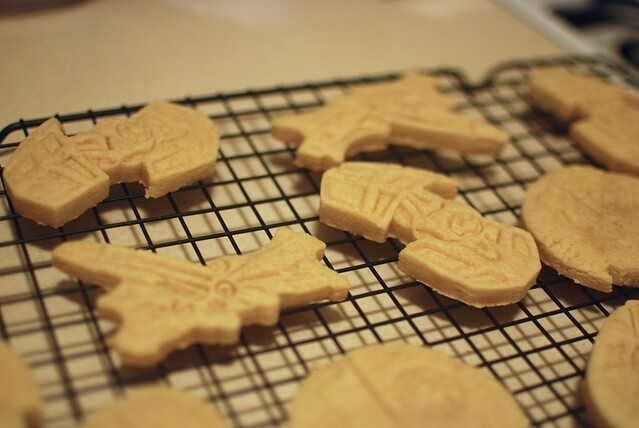 And this year I put even more Star Wars cookie cutters on my wedding registry. Some wonderful cousins sent them our way. I had a little too much fun setting them up for photos. 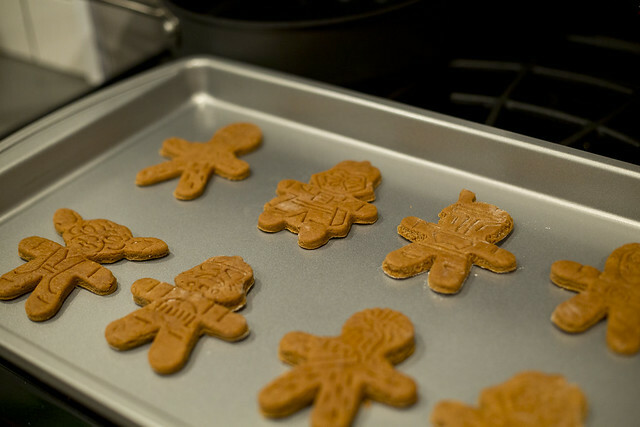 These cookie cutters are advertised as gingerbread cookie cutters. 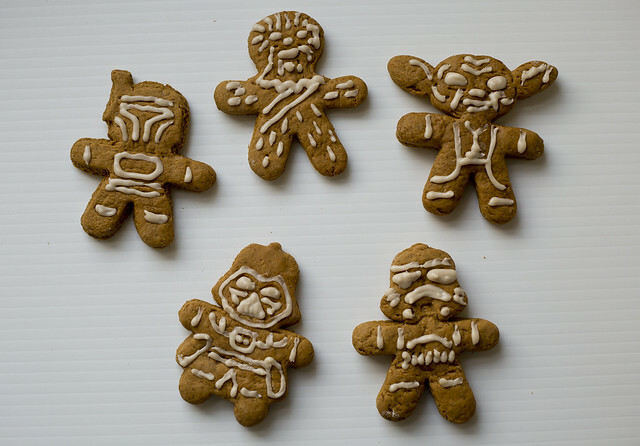 I imagine they would work well for sugar cookies too, but since I've already made those, I thought we'd go with the gingerbread. 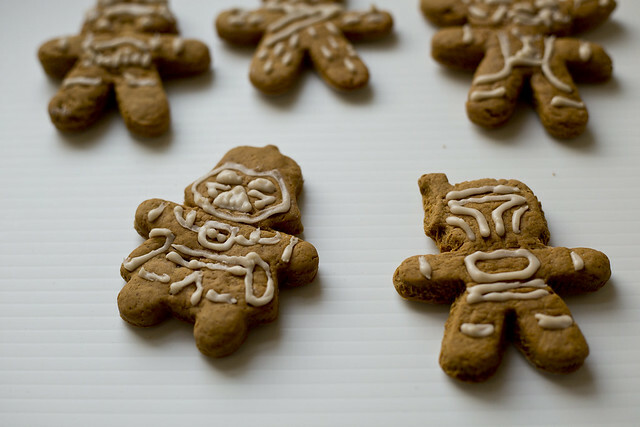 Plus, gingerbread is one of my all-time favorite cookies. 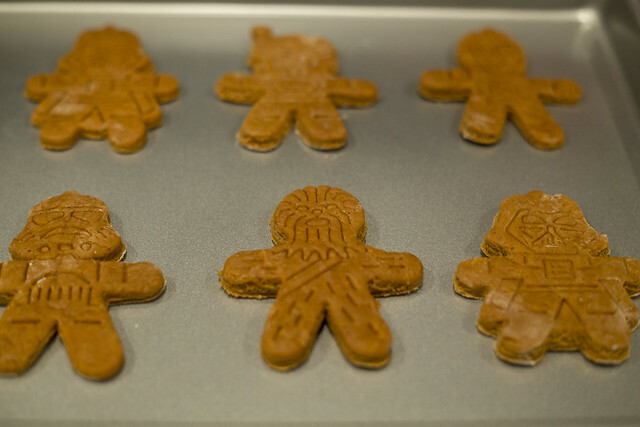 In fact, I've already posted a recipe for gingerbread vegans, which you can see here. 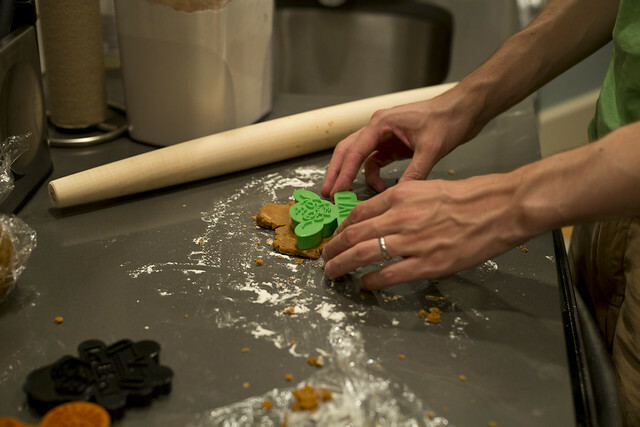 And gingerbread cookies are so fun to make--I even got my husband in on the action! 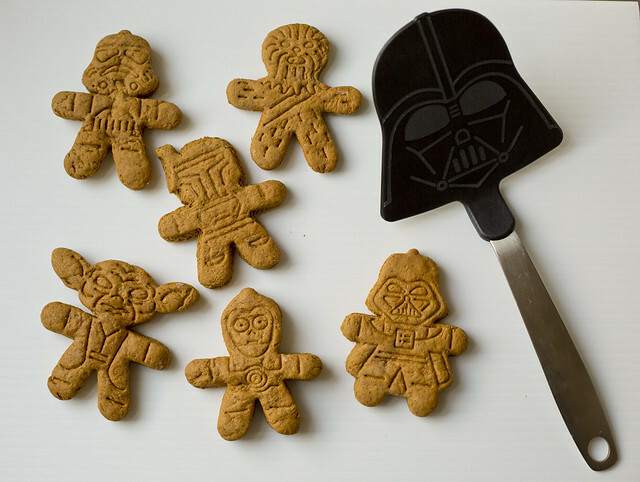 Note the Darth Vader spatula, below, which is a regular fixture in our kitchen (another present from Mom and sis, and it works great!). Couldn't help myself. A little Vader with Vader. And don't forget to frost! 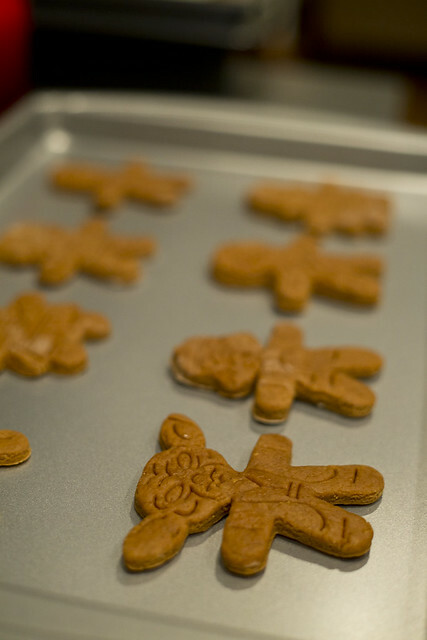 Also...this recipe makes a bunch of cookies! Don't worry, though--they're somehow even better the next day. And frosting is actually super simple! 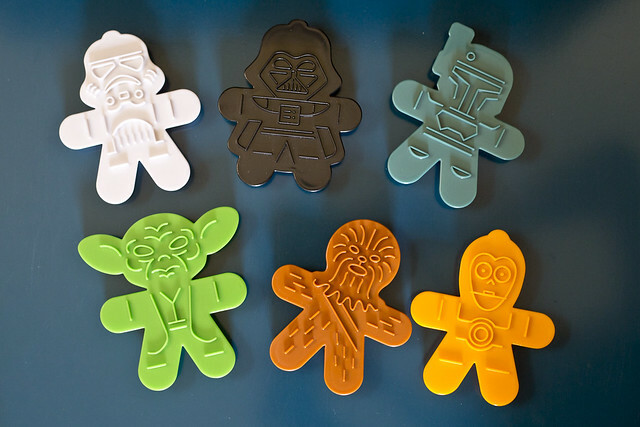 The cupcake set, sugar cookie cutters and Darth Vader spatula all came from Williams-Sonoma. They did a little Star Wars series several years back. Unfortunately, they've all been discontinued, though they do seem to be readily available on eBay. 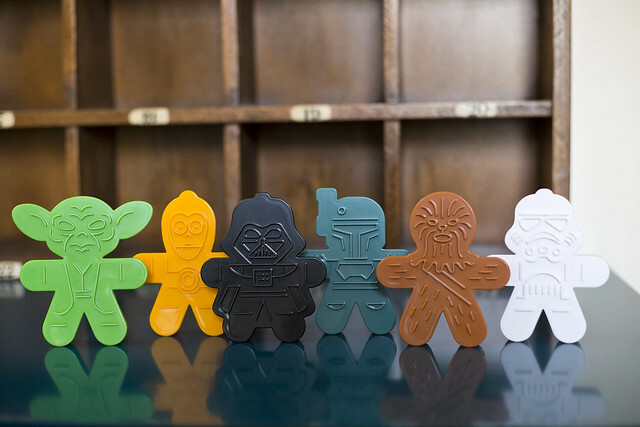 These gingerbread cookie cutters are still available on ThinkGeek, however! 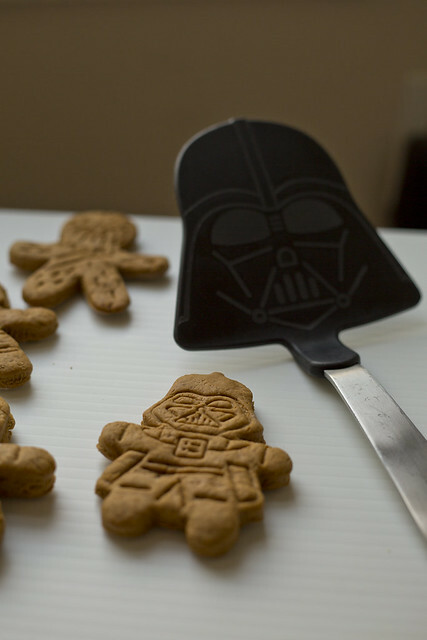 This is cute, mega cute - in fact pretty awesome and I love the Darth Vader spatula.